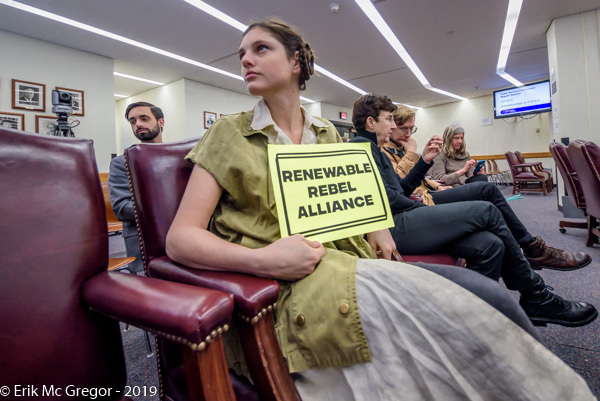 Albany, New York – Princess Soleia leading the Renewable Rebel Alliance visited the Public Service Commission on February 7, 2019, as the epic saga over control of New York’s energy future came to a critical juncture. 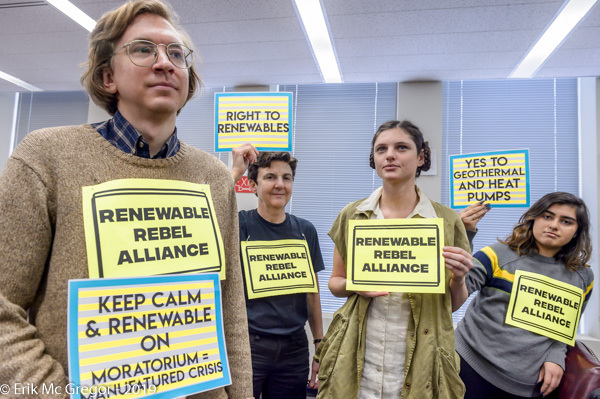 Princess Soleia, a leader of the Renewable Rebellion, has fought alongside the people to stop the expansion of fracked gas infrastructure and to build community owned solar and renewable heating. 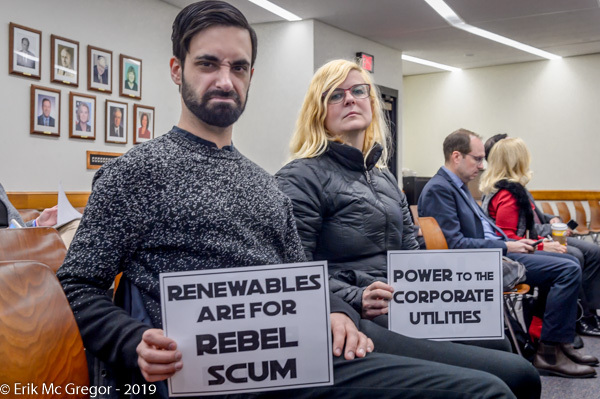 The private electric utility Empire and their emissary Darth VDER have pushed for the expansion of fracked gas infrastructure for heating, as well as complicated market concepts that are crushing community solar and denying renewable power to many New Yorkers. 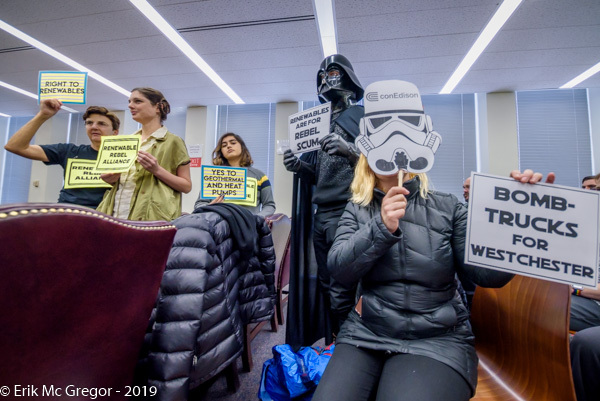 The galactic leader and her Renewable Rebel Alliance were in Albany to witness how the PSC would rule on Con Edison’s “Smart Solutions” proposal, which is one part of how the utility is addressing growing demand for gas in Westchester County. 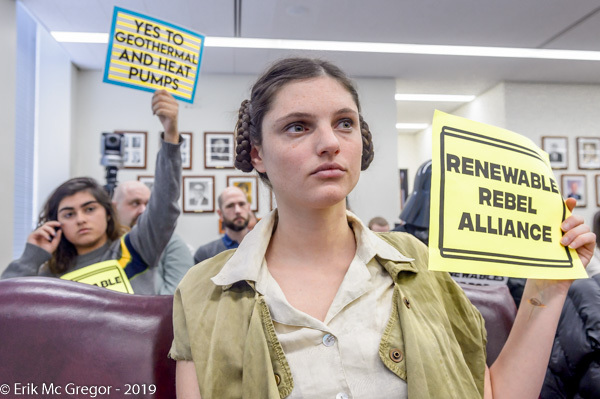 The “Smart Solutions” proposal from Con Edison includes alternatives to gas, like geothermal and air source heat pumps, and gas reduction programs like efficiency and demand response. 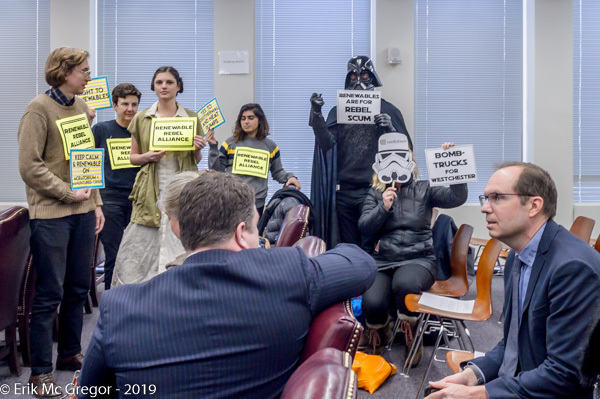 But the proposed portfolio also includes 2-5 new fracked gas storage facilities in Westchester and a fleet of gas-carrying trucks, dubbed by gas opponents as “bomb trucks” because of the possibility for an explosion. 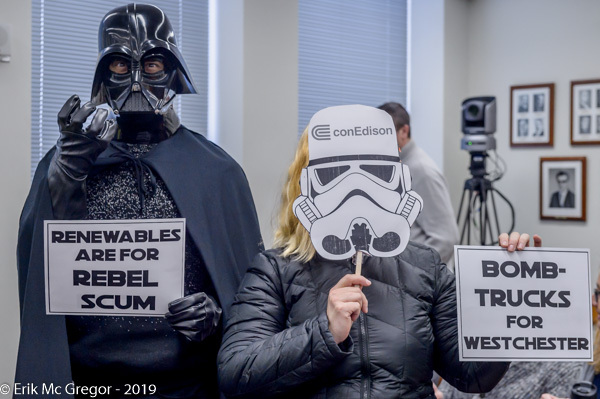 Unfortunately, the Public Service Commission approved Con Edison’s gas projects along with the new investments in efficiency and heat pumps that the Renewable Rebel Alliance had been calling for. 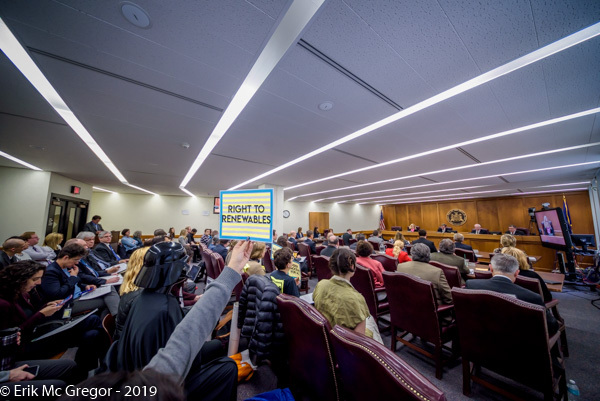 Despite the ongoing climate crisis, the Public Service Commission declined to fully embrace a future without climate-killing fossil fuels and instead will permit the utility to build more gas into its system. 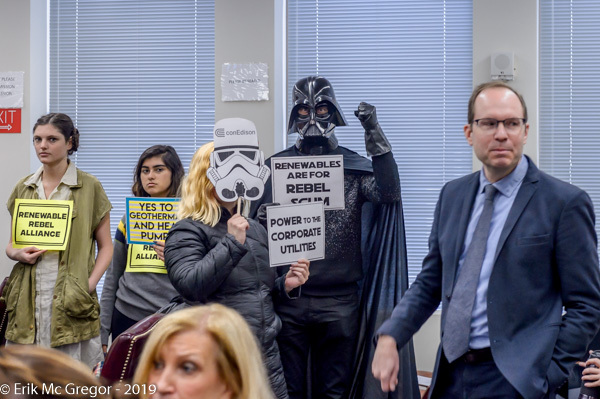 Epilogue: In the next episode of the Public Service Commission meetings, the agency will determine whether to rein in the destruction on community solar caused by Darth VDER (Value of Distributed Energy Resources). 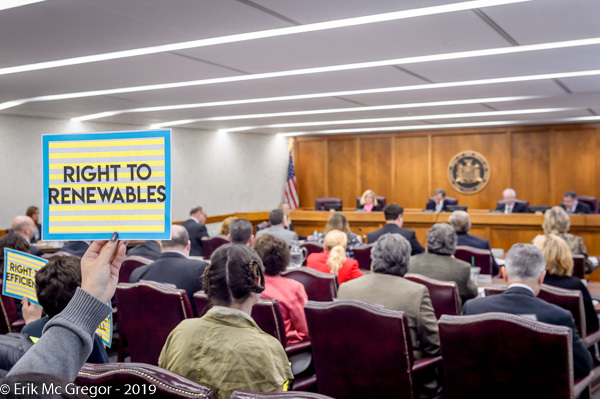 Princess Soleia and the Renewable Rebellion plan to use the Force of public participation ahead of the next PSC meeting in March to show that New Yorkers are calling on the PSC to fix the problems with VDER, the state’s policy for valuing solar energy, and to stand up for community solar power for all New Yorkers.